OFC Champions League debutants Rewa believe you can never be too prepared when heading into a competition of this calibre. After taking on fellow Fijian club side Lautoka, the Delta Tigers travelled to Ba for a friendly against the national team. Club president Nazeel Buksh said the preparation phase is long. “We were doing a few light training sessions in December, but since the start of the this year we have picked up our preparations. “We came all the way to Ba just to play a friendly match with the national team and it shows how serious we are with our preparations for both the Champions League and the start of the national league,” Buksh said. 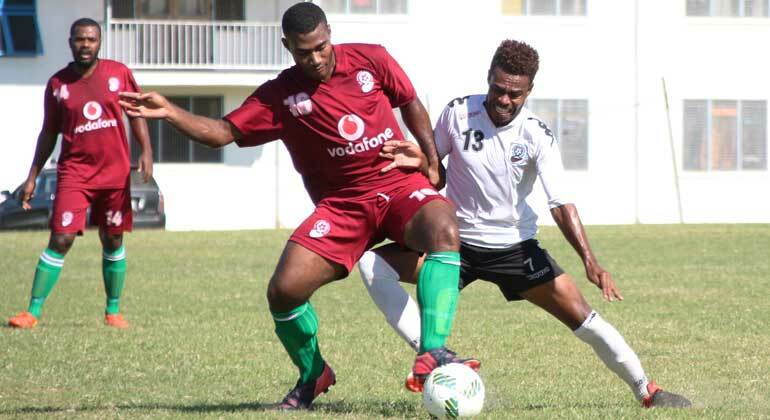 Thanks to a change in the Fiji regulations regarding foreign imports, the side is calling on the services of three Brazilian players to bolster their ranks. Former Amicale defender Galvao Maximo Diego is training with the squad along with Tannus De Olovoera Junior Marcelo and Silver Junior Elias. Buksh said the trio are adapting well to their new surroundings. “Helping them adapt to the environment and our style of play is the reason why we brought them in early, not just a few days or weeks before the Champions League but actually two months before kick-off,” he explained. Rewa, as well as fellow Champions League contendors Ba, also have the added bonus of being able to call on recently appointed national coach Christophe Gamel for advice. The Frenchman has offered his services to both sides, signalling his intention to work closely with clubs in Fiji to strengthen the national squad. “I will help our two representative clubs Rewa and Ba, joining with their own objectives. I see the two presidents are very humble people and open for this kind of collaborative work. “We have to work hand-in-hand,” Gamel said. Rewa have been drawn in Group D alongside Marist FC, AS Tefana and Erakor Golden Star and will play their matches in Tahiti.